There are risks involved with any purchase, but investing in a Villa de Palmar timeshare is as sound as they come. If timeshare suits your vacation needs, then purchasing a Villa del Palmar timeshare will be one of the best decisions you will make. The Villa del Palmar brand is developed and operated by one of Mexico’s most long standing companies, The Villa Group Timeshare. 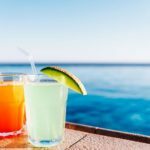 Although there are no sure things in this world, as far as the timeshare and vacation industry is concerned, The Villa Group Timeshare is pretty untouchable. An investment in a Villa del Palmar timeshare guarantees you a future of amazing vacation accommodations in some of Mexico’s most beautiful locations. Buying a Villa del Palmar timeshare comes with many advantages. Firstly, the locations where The Villa Group Timeshare have established their resorts are in the most popular and stunning places in Mexico. 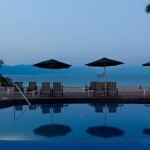 You can find a Villa del Palmar resort in Cancun, Puerto Vallarta and Nuevo Vallarta, Loreto and Cabo San Lucas. As a member of Villa Preferred Access (a members’ timeshare points scheme for current and new Villa del Palmar owners) you can easily exchange your timeshare between these location as well as join an international vacation club if you wish to travel to other places. 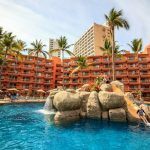 The accommodations at Villa del Palmar resorts are high in quality, although they vary in price depending on the type of unit and whether the resort is a 5 star resort. 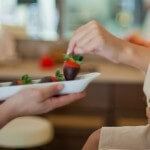 Most Villa del Palmar time share units will have facilities for preparing meals and many have fully equipped kitchens. The one, two and three bedroom suites in their various arrangements are extremely spacious and is one of the key comments recorded in customer reviews of Villa del Palmar timeshare resorts. Facilities and services at the resorts are also high in standard, with full spa installations in all of the Villa del Palmar resorts. Many members comment on the large swimming pools and easy beach access in reviews. In terms of the quality of service, Villa del Palmar timeshare resorts commonly receive compliments for the service received and it is not uncommon for members and hotel guests to name specific members of staff in online review websites such as tripadvisor. Before buying a Villa del Palmar timeshare, you should see for yourself what the resorts have to offer by taking advantage of special discounts for visitors who are willing to attend a timeshare presentation. 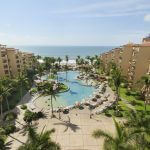 ← What’s the Best Timeshare in Mexico?